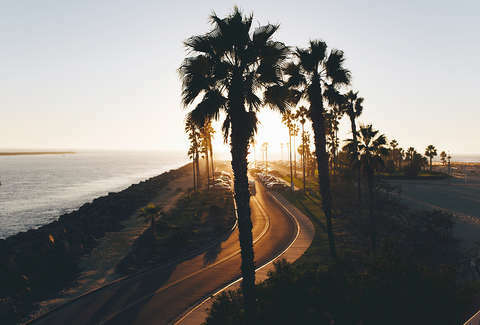 With zero humidity and palm trees in the rearview mirror, cruising down the Pacific coast to San Diego from Los Angeles is summer. Of course, LA traffic can make it less cruiseworthy and more bumper-to-bumper. 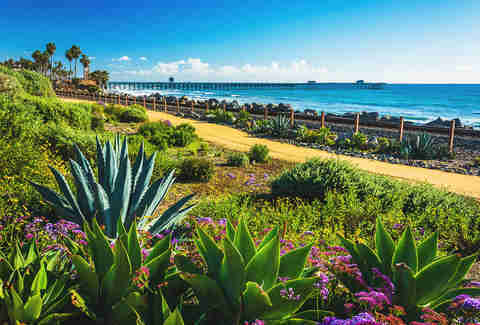 But with authentic taquerias, whale watching, and iconic surf breaks, there’s a quintessential SoCal pit stop just about every mile of the ride to distract you. Here’s seven summer getaways you can easily hit on the way to San Diego -- just don’t forget the sunscreen and a swimsuit. Sure, you may have just left La La Land, but it’s never too soon to kick off a trip with some light target practice. Right off the 605 freeway, head to the archery range at El Dorado East Regional Park for free community classes every Saturday. Not up for arrows? 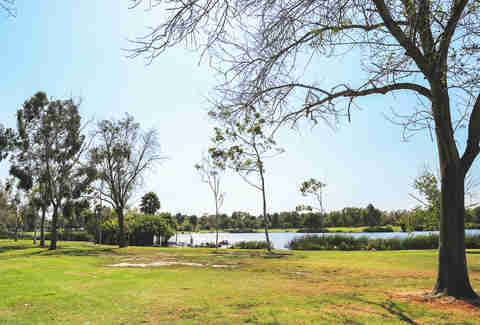 Take a nature-filled walk around one of the park’s six serene lakes with plenty of wildlife to keep you company -- it’ll shake off any traffic anxiety you just built up driving here. No trip down the 405 is complete without a Laguna Beach ‘gram. 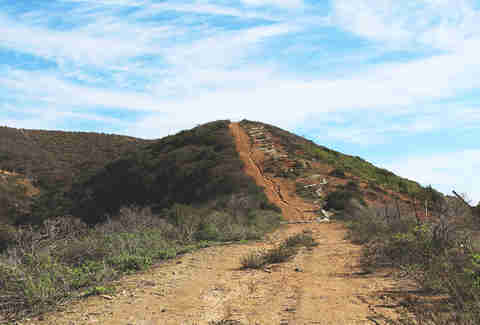 Take in some of the last remaining coastal canyons in SoCal at Laguna Coast Wilderness Park with over 40 miles of trails that lead to water point vistas and rocky bluffs. Even though every trail is sweet, a quick hike to Barbara’s Lake (Orange County’s only natural lake) will refuel you for the rest of the drive. 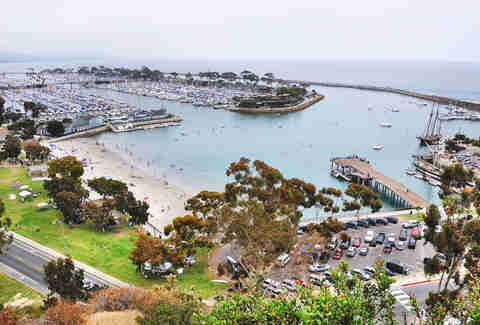 Stretch your legs, grab a pair binoculars, and hop on one of the accessible public boats at Dana Point Harbour to see whales up close (it’s known as the “whale capital of the west” for a reason). Feeling a bit hungry after watching these giants swim? Peruse the many coffee shops, chocolatiers, and fresh seafood joints right on the waterfront. 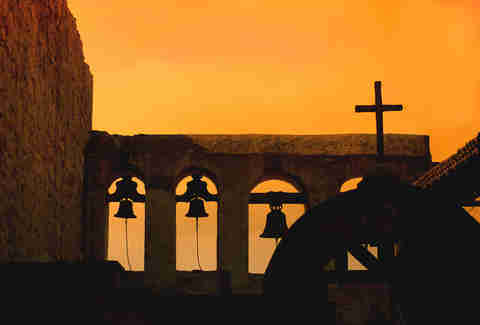 Taquerias, fine art galleries, and old-school western bars: Stroll around the historic downtown in San Juan Capistrano and you’ll teleport back to 1776. With Spanish-style architecture, plenty of lunch options, and enough quirky antique shops to keep you there for an entire day, you’ll wish you explored this area of SoCal sooner. Fishing off the iconic San Clemente Pier to celebrate the halfway mark to San Diego is the only way to do it this summer. Rent a pole right on the pier, grab some bait, and soak in the 360-degree SoCal views from one of the greatest views of the whole beach. Don’t forget to take plenty of pics. San Clemente is so nice, you have to stop twice. No, really -- the world famous surf break at the Lower Trestles area of San Onofre Surf Beach is something you need to witness at least once. Both pro surfers and weekend warriors have been to known to whip out aerial maneuvers at this break. If you go swimming, you might even find yourself next to a few sea lions and dolphins. After almost 130 miles on the road, reward yourself by ending the trip in the heart of San Diego’s nightlife. 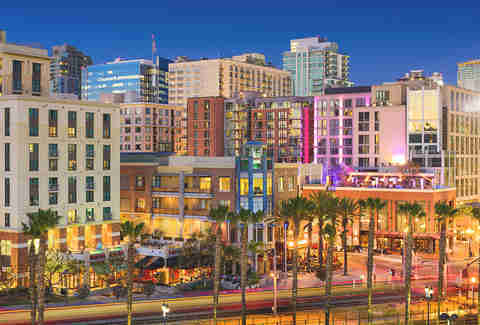 In the Gaslamp Quarter, more than 100 local restaurants, lively pubs, and beach shops sit right in front of the Pacific Ocean. Whether it’s hitting up a summer baseball game (well, it’s always summer in SD) or joining a downtown foodie walking tour, it’s the only way to end this SoCal road trip.